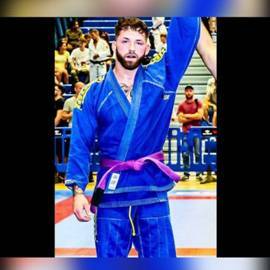 Jordan Kirk is the top ranked adult MALE PURPLE belt for 2018. He is the winner of £500 sponsorship to compete at the 2019 Europeans in Lisbon. Good luck Jordan! What inspires you to compete? Competition keeps me sharp, not just in jiu jitsu, but life in general. I’m the kind of person that needs to set goals and have something to aim towards. I refuse to be one those people that happily coast through life, not aiming to better themselves daily. What advice would you give other competitors? Keep your wits about you, it’s a jungle out there.